The twin-cities, Kitchener and Waterloo, have both decided to put a rainbow flag inside city hall for the duration of the Olympics rather than fly one outside the building. [Coun. Frank] Etherington [who proposed the motion] was critical of the city's flag solution. "My argument was (putting the flag inside) in no way was as good as a very open, very public demonstration of the city's support for gay athletes and to protest the Russian laws which discriminate," he said. "There's no comparison between the two (flag options) … one tucked away inside the rotunda and the other flying." Many cities have decided to fly the flag outside their city hall including Ottawa, Edmonton, Montreal, Guelph, Hamilton, and, yes, even Toronto has a flag on a "courtesy flagpole" outside city hall despite Ford's protests. Some Mayors, like Ottawa's Jim Watson, "ordered the pride flag raised immediately." I'd like to address one type of comment in support of K-W's position runs along the lines of, "But the Canadian flag already supports being inclusive. That's all we need." 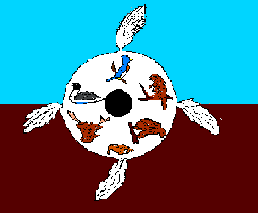 Some see our flag as representative of the Charter even though the flag came out in 1965 and the Charter in 1982. 1. 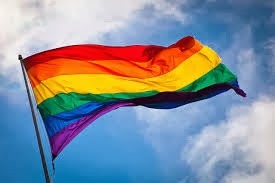 The Rainbow/Pride Flag. We just put a transgender woman in a male prison cell. We still have way too many LGBTQ teenagers committing or attempting suicide because they can't take the bullying - much of which happens in our public school systems. We are so much better than many countries on this front, legalizing gay marriage nine whole years ago. But being better than some, doesn't make the slip-ups any more acceptable. We're still working on this one even if we like to think we're done. "(a) promoting equal opportunities for the well-being of Canadians; (b) furthering economic development to reduce disparity in opportunities; and (c) providing essential public services of reasonable quality to all Canadians." People often call on residential schools as the main indicator of Canada's poor treatment of the First Nations, then respond to their own concern with, "But that's all over now. It's all in the past." Straw man much? We haven't stopped discriminating. If we can't take the land, we'll use it as a garbage dump. On it goes. Blarg. 3. Anti-Slavery Flags. I'm not sure how to word this one, or what kind of flag to encourage, but we haven't stopped using slaves to do our work, we've just outsourced them to other countries. We benefit from the work of teenagers working over 60 hours a week for token pay in China so we can have cheap products here. We turn a blind eye to actual slavery, just as bad or worse as anything that happened in 12 Years a Slave, on cocao plantations so we can eat cheap chocolate. Until we refuse to support slavery conditions worldwide, I can't understand how we can call ourselves inclusive. Inclusive shouldn't be allowed to mean, "We'll be nice to you and give you equal rights and all if you're on our soil, but otherwise we'll totally screw you over for our own benefit. " No, Canada is neither inclusive nor equitable. I think we're trying, though. And I hope that the one good thing Harper's government is doing is helping us find one another, find the marginalized and supporters among us who are willing to rally for real change. Something like that.